Yeah I am back on the grid after having no Internet or mobile phone coverage for a while. I was actually nice not to have all the electronic stimulation for a while. 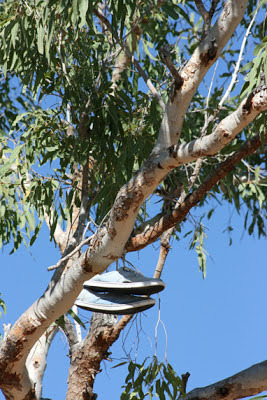 We are in Kununurra, Western Australia until about next Sunday then probably without reception again for a while. But my past week has been very enjoyable indeed. We headed off from Katherine at about 10.00am for our journey to Victoria River Roadhouse. The park where we set up was really only a big paddock with connections for our electricity, but it had a really good feel about it. I went for a little walk along the old road (before the Victoria River Bridge was built) at sunset and the reflections on the river were beautiful. Down on the base of the bridges pylons a Freshwater Crocodile lazed away the end of his day. 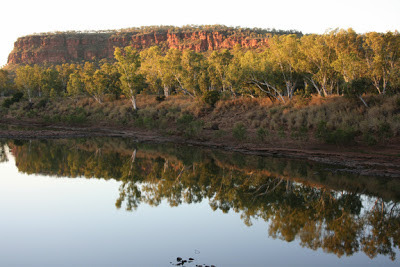 Victoria River to Saddle Roadside stop. This stop is as it sounds just a roadside stop although it did have toilets - drop toilets but at least toilets. If anyone doesn't know what a drop toilet its a huge hole that has a toilet sitting on top of it. They don't smell very nice at all, but they serve the purpose. 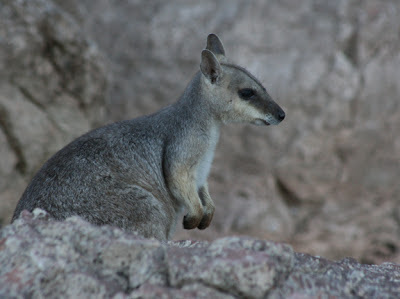 I didn't have to many high expectations about our stop as it was only an overnight stop. 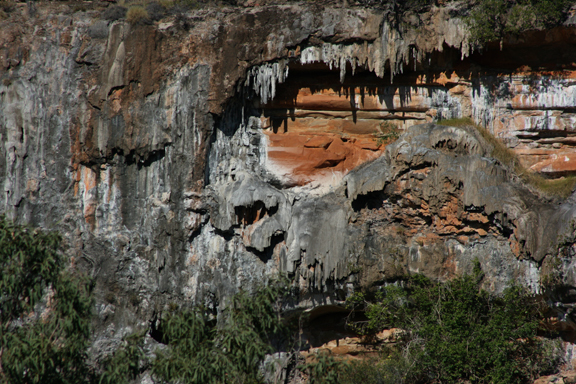 But I was pleasantly surprised, the rock formations were really good. Saddle Roadside stop to Lake Argyle. First of all I was pretty excited to be crossing the border in Western Australia as it's the only state in Australia I have never set foot in. W.A have very strict quarantine regulations and you cannot take fruit, vegetables, honey, plants, soil etc. into the state. They even had us open the van and have a look inside. Not that we had anything as we already knew about the regulations. Just over the border we turned of to our first destination in W.A. I knew nothing about Lake Argyle before getting there, I just thought it might be nice to stay near a lake for a few nights. Wow - was I surprised when we got there. 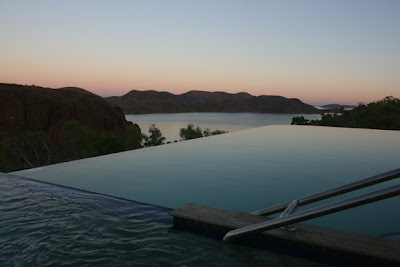 We stayed at Lake Argyle Resort, which is a great caravan park with the most amazing Infinity Pool I have ever seen. 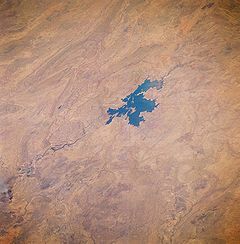 Lake Argyle is Australia's largest artificial lake and was born when in 1971 the Ord River Dam was completed. The Ord River dams provide water to over 117 square kms of farmland. 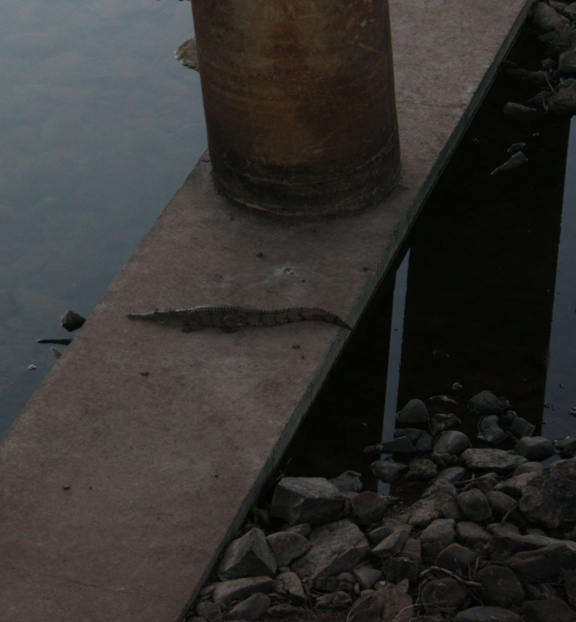 The Ord River also generates power for the local community of Kununurra. We had a lovely few days there but our last day would have to have been the best. At 2.30pm we set sail out on the lake for a sunset cruise. We learnt lots about the lake and the building of the dam wall. 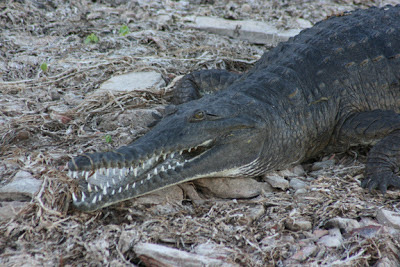 Saw lots of different birds, fish and of course some freshwater crocs. But to top it all of at sunset the skipper tied the boat to a buoy and some of us had a sunset swim in the lake. The depth was about 17.5 mtrs and it was about 24.6c which is pretty nice to swim in. He's keeping an eye on me!! Lake Argyle to Kununurra. So now we are here in Kununurra for about 6 nights to do a bit of touristy stuff but to also have a few days without to much driving. I was anxious to see Kununurra as this is one of the first places my son Shane came to work after leaving University. Haven't really seen much yet just some beautiful sunsets. 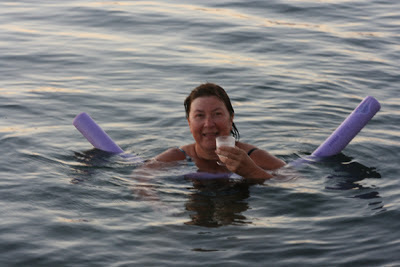 Thanks Amalia - yes it was pretty special floating there sipping on Champagne while the sun set. It looks absolutely gorgeous where you're at currently. 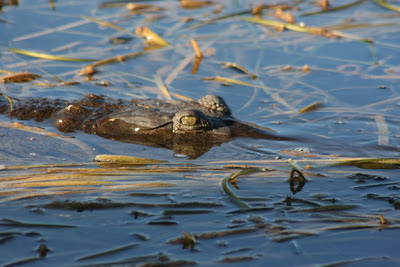 You've got some amazing photos Davine, the reflection is stunning, the animal photos are so clear and amazing to see. I never knew that crossing borders within Australia has limitations as to what you can bring in, that's interesting. Thanks Darlene. Not all states are strict, I think it could be just WA and Tassie.